MY PHILOSOPHY: Hypnosis by itself is NOT a magic pill (even though it may feel like that). Through your sessions you will learn self-hypnosis, thought training and EFT Tapping. You will have access to these powerful tools whenever you need them. My aim is to help you achieve YOUR goal and understand how your subconscious mind works so you can use these tools to help yourself. I learned how to harness the power of my subconscious mind back in 1978 when I took the Silva Mind Control Course. That training opened my mind to the amazing power of my subconscious. What a life changer that was! At the time I was a depressed miserable mess, and my self-esteem was in the gutter. After I learned how to use visualization to change my thinking AND my feelings – my life seemed to be more in my control. So…to assuage my fear of not having enough money, I started working in the financial industry. First at Merrill Lynch, then as a Trust Officer at Mellon Bank. Even though I had never taken a class in economics or finance, I used the power of positivity and future visualization to get hired. Unfortunately I never liked managing money. In fact, I hated it. I spent over a decade feeling like a fraud in a field I had no interest in. I believed that I couldn’t make enough money doing what I loved. You see, I was a creative person at heart. I created custom hand painted silk scarves and clothing. I was a professional calligrapher. I was an artist. I loved antiques. I desperately wanted to be an appraiser. I wanted to be creative. I wanted to do something I loved! But I was too frightened to change. I was scared if I did something I truly loved, I’d never make enough money to live in a safe neighborhood. It’s sad that fear stuck with me for OVER 30 years. You see… I never knew how to get over the doubts I had about myself. I never knew how to get over my fears. After spending decades figuring this stuff out – I now know how to OVERCOME FEAR, DOUBT, and LIMITING BELIEFS. I used these tool to help me leave an unhappy career, an unloving marriage, to having no money to where I am now. Teaching you step-by-step to get over your doubts and fears. To help you through life’s transitions involving career and love. And most important -to help you feel good about yourself and wake up feeling positive! 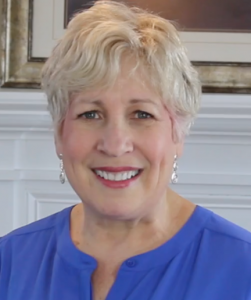 Wendy Merron is the creator of The Emotional Eating Solution online program. This self-directed online course gives you all the tools you need to stop the habit of emotional eating permanently. Weight loss is easy when emotional eating and binge eating are no longer personal issues. Wendy Merron follows the NGH Code of Ethics and Standards of Practice and has been on the faculty of the National Guild of Hypnotists Convention since 2007. In addition, she has presented at Penn State Great Careers, West Chester University, Bryn Mawr Hospital, Philadelphia College of Osteopathic Medicine Psychiatry Club, and corporations in the Philadelphia suburbs. Hypnosis is a widely-recognized tool in helping individuals overcome fears or achieve life goals. Though often misunderstood thanks to misconceptions arising from television and movies, hypnosis techniques are becoming a mainstream and credible self-help vehicle to help all walks of people, including business professionals, executives, golfers, athletes, actors, entertainers, and much more. Learn more about hypnosis and how it can help you! 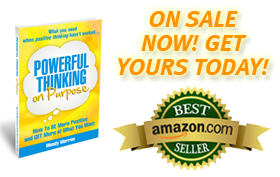 Get the Amazon Bestseller from Wendy Merron! © Copyright 2019 The Center of Success. · All Rights Reserved · Website by The Webscaper.